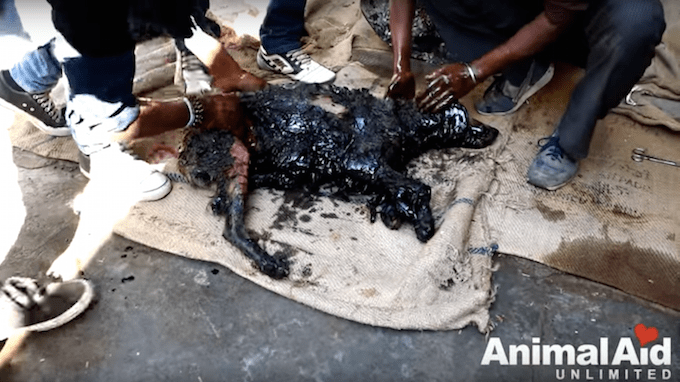 A rescue organization called “Animal Aid Unlimited” received a call about a street dog who was trapped in a drum of tar in India. When the team arrived at the scene, it appeared the dog had been encased in the tar for several days and appeared to be dead. But, then they saw her breathing she was unable to move and was scared. Rescuers reported, “She was completely glued by the tar to the metal barrel.” They realized they would have to cut the drum open in order to get her out. 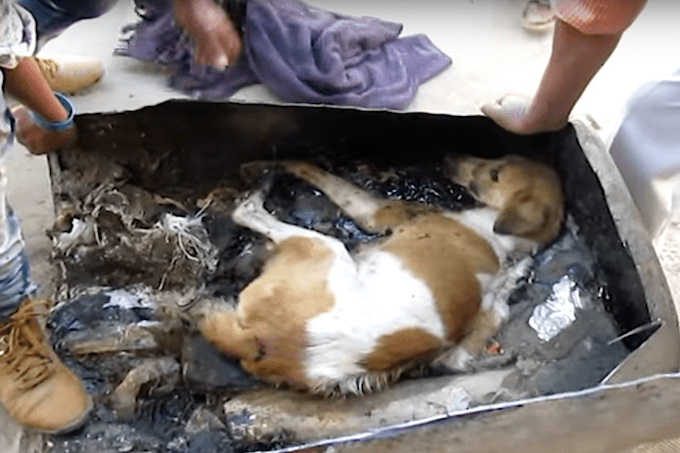 They covered the dog with a blanket to protect her and when they opened up the drum, the dog’s body had sunk deep into the hot tar. Rescuers couldn’t get her out where they were, so they carried the dog in the drum to Animal Aid. Once the dog was out, they could see her burned skin. She had been without water for so long, that she lapped up everything they gave her. 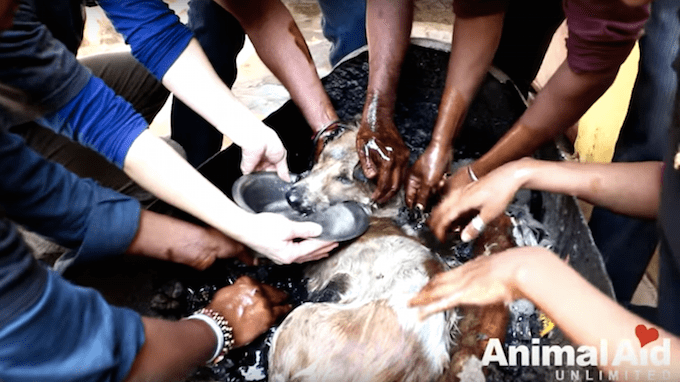 It took rescuers three hours to remove the tar from her fur, and it was then that she was able to stand on her own. They named her Asha, which means Hope in Hindi, and if you saw her today, you wouldn’t believe it.